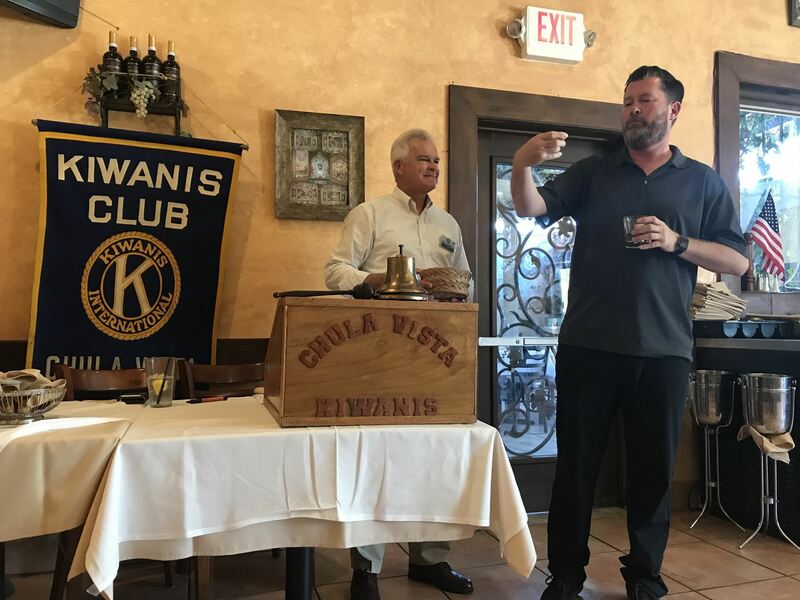 6/27 Interclub with Chula Vista Kiwanis! 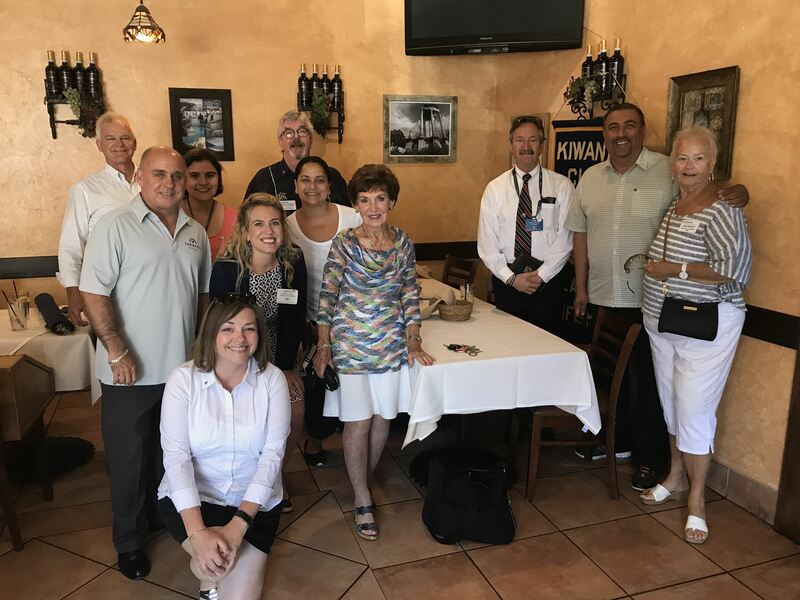 We had 7 of our fabulous Kiwanians - June Prewitt, Ricardo Sandoval, Tom Bauer, Doug Frost, Jean Roesch, Lauren Cook + Karina Sousa - visit the vibrant Chula Vista Kiwanis Club! They had an awesome program about the up & coming Chula Vista brewery scene! We will definitely be planning a Kiwanis Night Out down there soon! To get an idea of what we're talking about, check out this article! 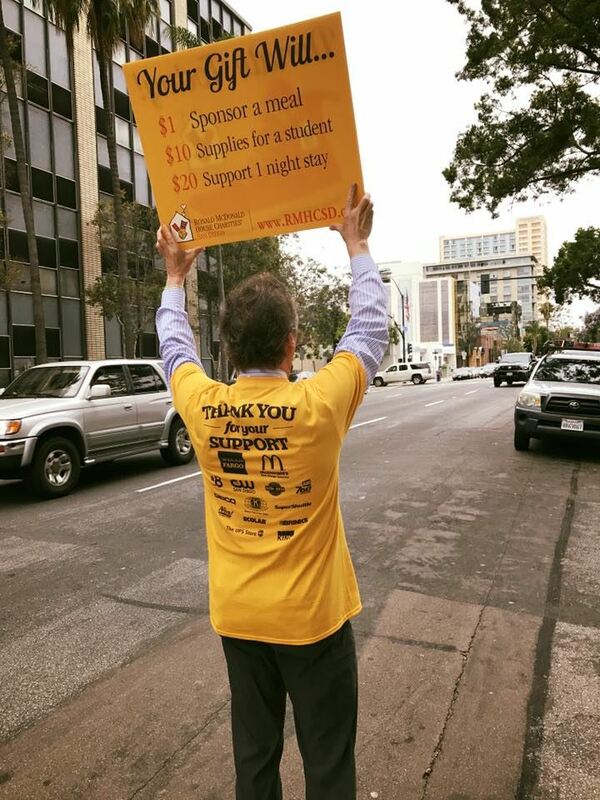 A few of your fellow Kiwanians were out at 6:30 a.m. on Thursday at the corner of Front + A Street, Downtown San Diego! 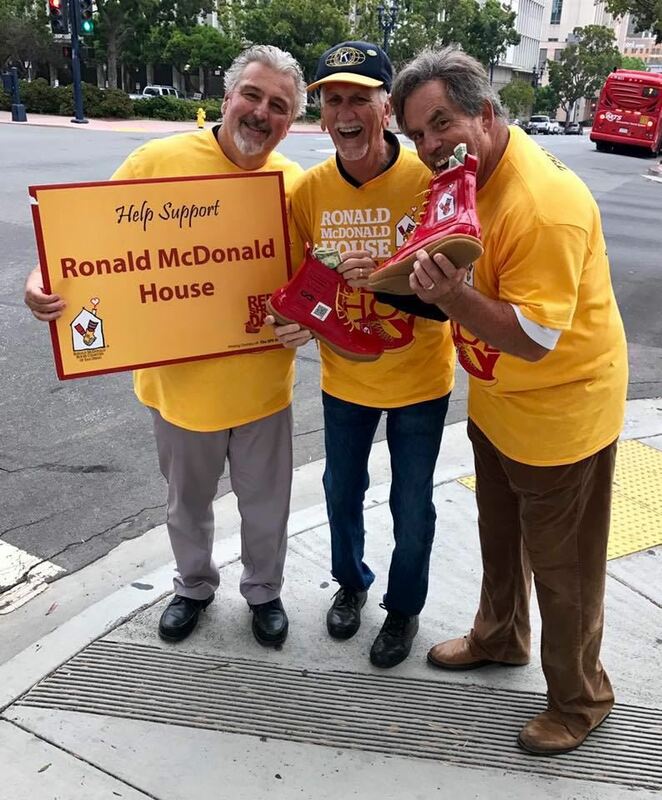 With lots of energy, we raised quite a bit of money for the Ronald McDonald House of San Diego! 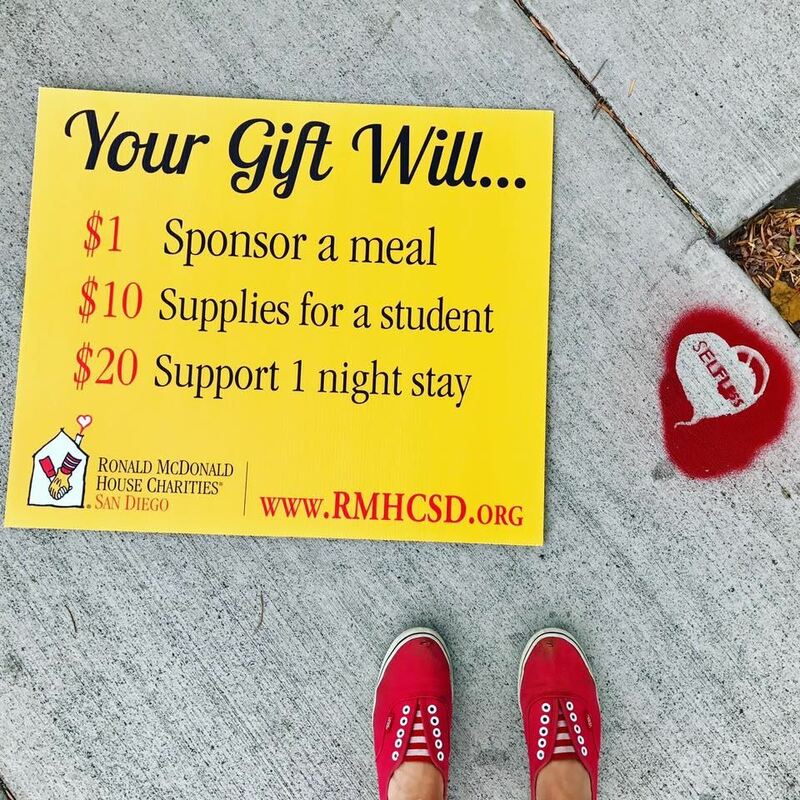 To check out more info about Red Shoe Day, you can click here. Here's a few pictures from the event! 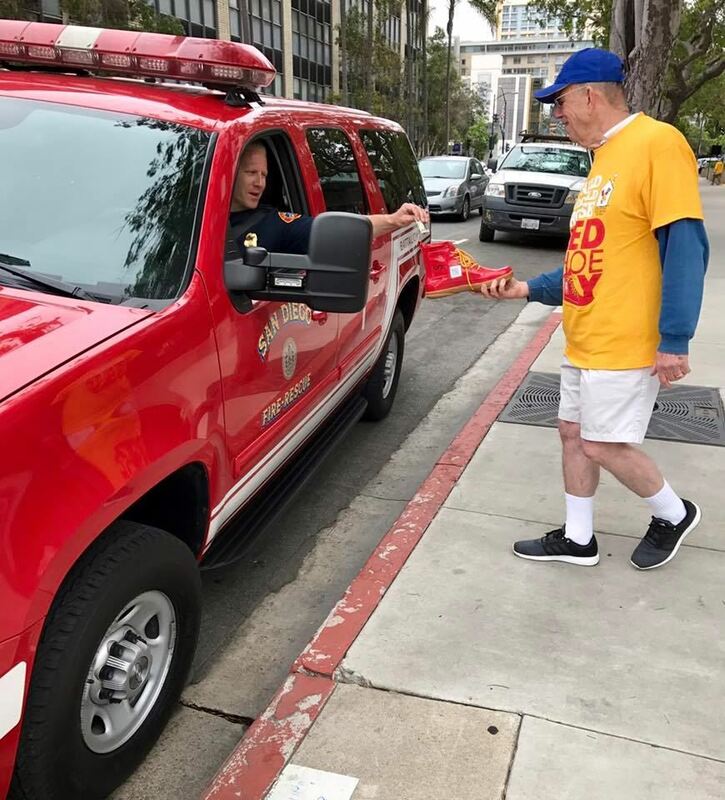 Special thanks to Tom Bauer, who not only picked up our supplies, but also dropped them off, and has been our die hard Red Shoe Day liason! We appreciate you, Tom! And then of course our dynamic duo, Joe + Rick - you guys always know how to guilt, I mean get, people to donate! 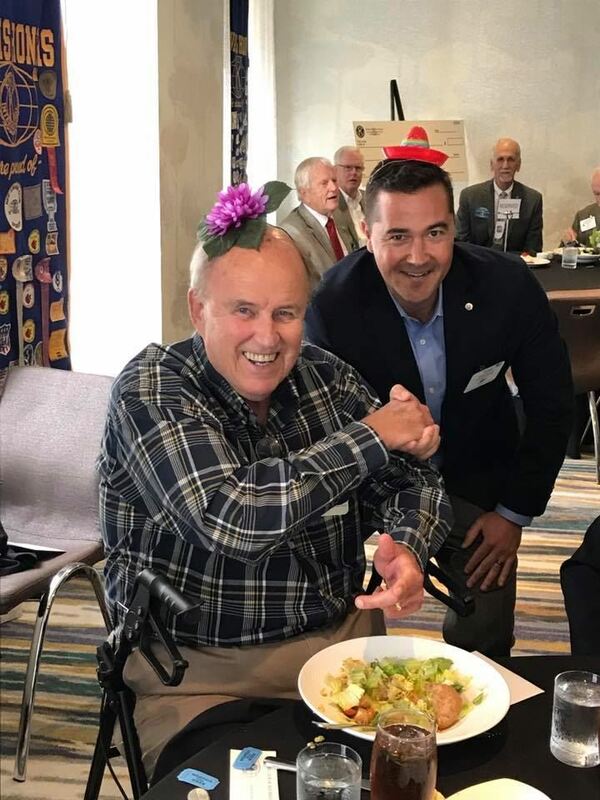 Last but not least, we had Charlie + Fritz, representing Kiwanis with their awesome hats! We would LOVE to have more people join us next year so we can really empty some pockets for such a great cause! Their will be a Volunteer Celebration on July 10th at the Ronald McDonald House! And be sure to stay tuned for next year! It's an awesome event, coming from experience! 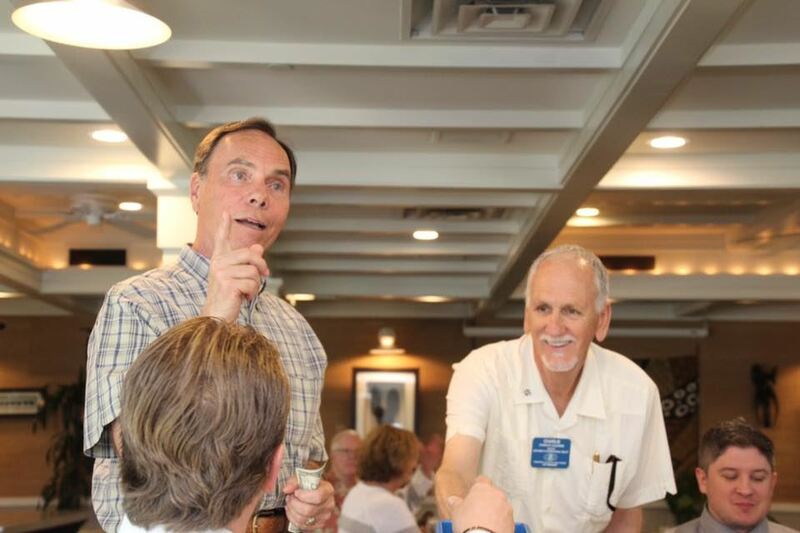 On Tuesday, June 20th, our Kiwanis club met for our annual luncheon at the San Diego Zoo! We had many beautiful guests in attendance! Shaun dressed in full zoo-keeper attire demanded his fabulous, Janet to please stand and say hello to all of our. We also had the 3 gorgeous gals from the Krause clan: Emily, Sophia + Abigal! Major Darren Norton introduced his beautiful wife, Mary, to the crew! We almost didn't recognize him without uniform! Major decided to spend the start of his vacation at our club meeting! 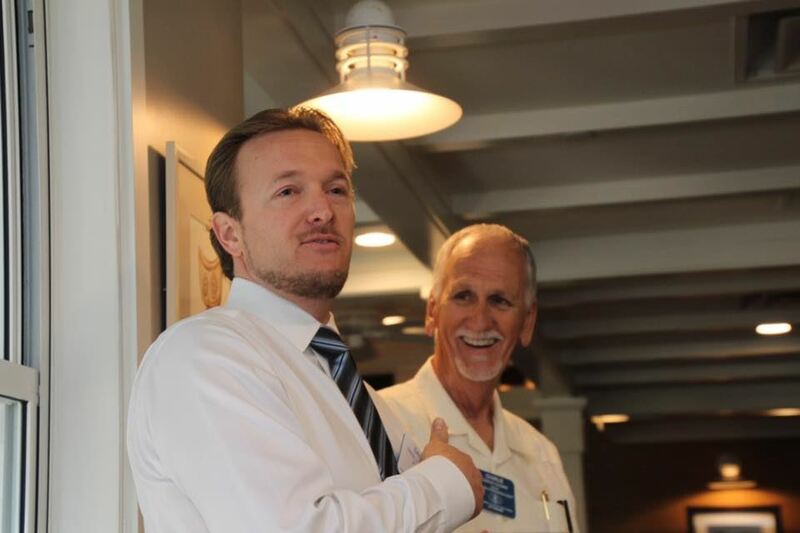 And he blessed our meeting with a fantastic invocation, as always! Then Suzie led us in the National Anthem! As far as fines, our President graciously didn't fine for not having badges, given the plethora of excuses she received. However, we did fine for not having pins on. Be sure to have your pin for upcoming weeks or be prepared to be fined! For Bill's bucks, we had a few happy people in the house! Patrick was happy that they celebrated his grandparent's 70th anniversary and his new baby girl was able to meet lots of family! Claire was thankful to be at the zoo with us! 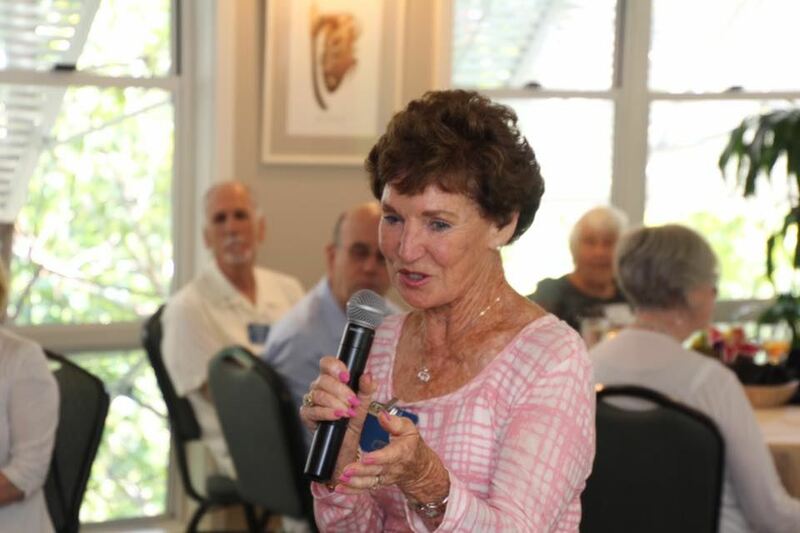 She also thanked us for supporting their annual STARPAL luncheon which raised over $150,000! Brian put in $1 and shared that we had a blast at our evening social at Rocky's last week where we took over the entire place! And we collectively decided that Rocky's does in fact have the best burger in SD! 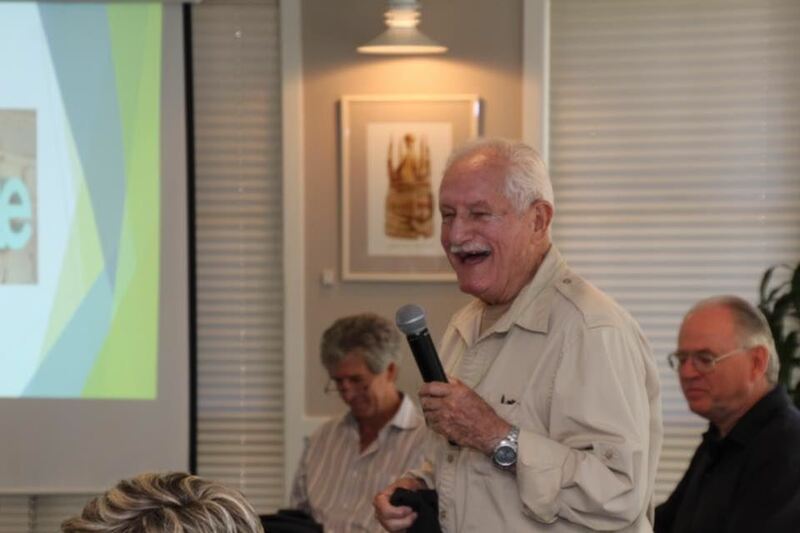 John was happy Bonnie wasn't there... BECAUSE she was conducting a webinar for early detection of breast cancer, that had over 850 registrants! Way to go, Bonnie! Danny is celebrating his 40th birthday at Chris Joseph's digs - Little Italy Loading Dock - and we're all invited! 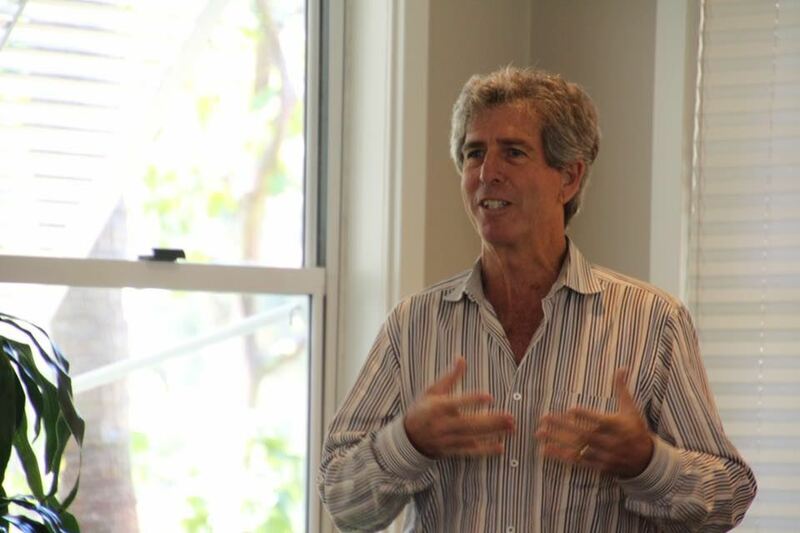 Come celebrate our incoming Foundation President on July 8th at 6:00 p.m. - RSVP HERE! 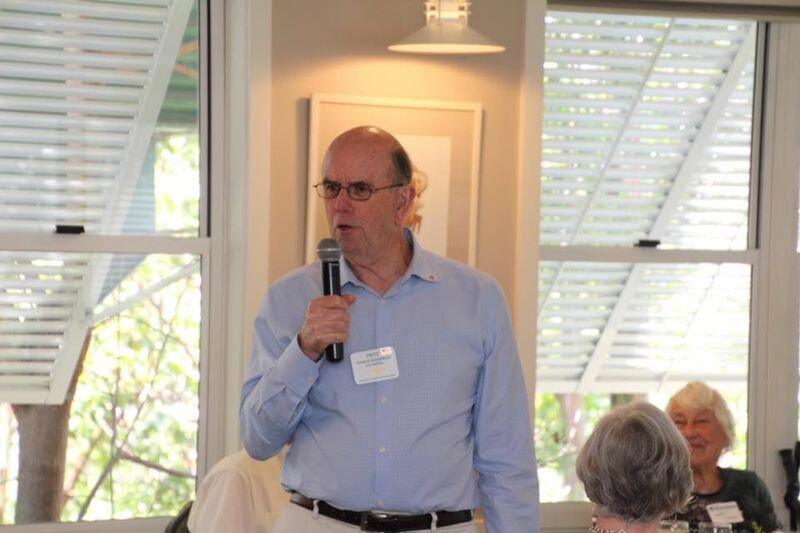 Carl was asked on the spot to be the Chairman of the Day - since it is tradition that he introduce our speaker, Bill Toone, as he has for our previous luncheons at the zoo - and he did a fabulous job as always! 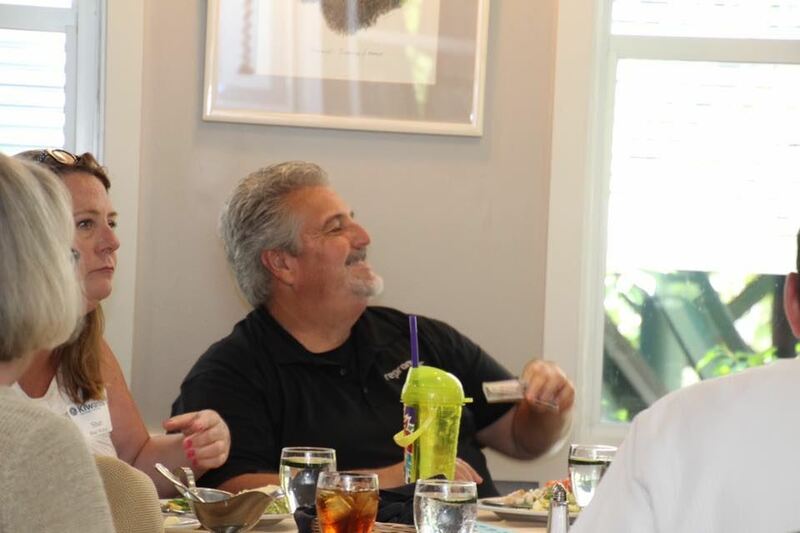 We love Bill so much that we are going to have our next luncheon on July 18th at his house to see everything that he's up to!